Interested in setting up an aquarium to keep a Betta fish (Betta splendens)? You’re not the only one. This little fish is one of the most popular species in the aquarium hobby today. And why wouldn’t it be: its colorful fins and feisty personality are sure to catch anyone’s attention! What should a Betta tank look like? Contrary to popular belief, a bowl or vase won’t cut it despite this species’ tiny size. Keep reading for everything you need to know about what does constitute a suitable Betta fish set-up.  An easy way to figure out some good indicators of what an aquarium set-up for a specific fish species should look like is to look at its natural habitat. Although the domestic Bettas we love to keep in our homes are the product of endless generations of selective breeding they still carry with them much of their wild cousins’ instincts and preferences. In the wild, Betta splendens can be found in Thailand, where it inhabits all kinds of calm waters such as swamps, ponds, small streams and even rice paddies. These habitats are characterized by their dense vegetation with plenty of aquatic plants and overhanging foliage. Tannins released by fallen leaves tend to stain the water a yellow or brownish tea color. Bettas are mostly solitary and rarely run into members of their own species. When they do, it’ll usually result in either a sparring match or a breeding attempt. 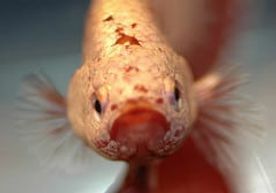 The males’ aggression towards their own species is what first prompted the Thai to start breeding this species: long before Western fishkeepers started focusing on color and finnage, Bettas were almost exclusively kept and bred as fighting fish. Now that we’ve had a look at where Bettas come from, it’s not too difficult to imagine what your Betta fish aquarium should ideally look like. For more about aquarium set-up in general we’ve got another article for you, which you can find here. Keep in mind that all aquariums need a filter and because Bettas are tropical fish that like things toasty, they also require a heater. The swamps and streams these fish naturally occur in are part of large systems, which means that (although some sources will suggest otherwise) a tiny aquarium is not ‘natural’ for a Betta. Instead, go for a tank of at least 5 gallons to give your fish enough room to explore and patrol. Bettas don’t like bright lights or open spaces. After all, their natural habitats are dark from all the plants that grow in them. Replicating these conditions in the home aquarium is not too much of a challenge. We love using loads of live plants in our Betta tanks to provide cover, dim the lighting and give the fish spaces to rest and hide. If you’ve got a black thumb, don’t worry. 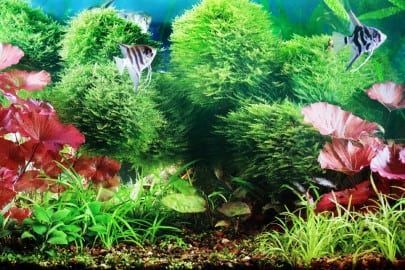 There are quite a few plants out there that even a beginner can grow; you can find a list of easy aquarium plants here. 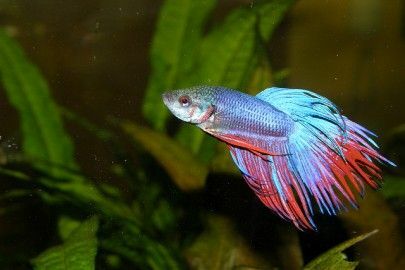 Bettas are naturally aggressive toward their own kind as well as any species that resembles another Betta in coloration. Selective breeding has only intensified this trait, which means two domestic Bettas (male or female) should never be kept together. 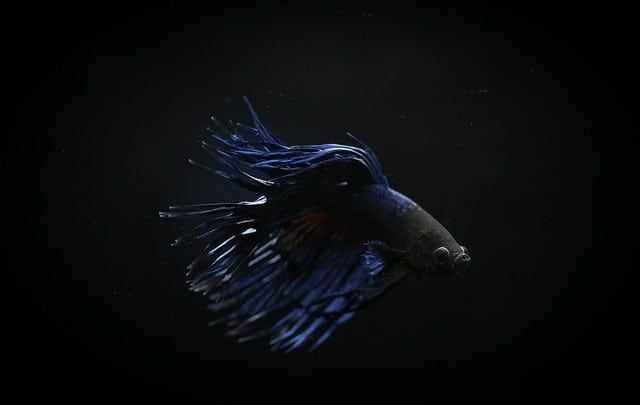 Betta cohabitation can quickly result in disaster and colorful tankmates will cause your Betta constant stress from the threat of what it thinks is an opponent. Because Bettas are used to a calm environment they won’t appreciate active fish in their vicinity either. In most cases you’re actually best off keeping your Betta without any tankmates at all, with the exception of harmless species like snails. Regular aquarium maintenance is needed to keep your Betta fish happy and healthy.  Every aquarium, including Betta tanks, needs weekly water changes. How much water you need to change depends on the exact water quality (which you measure with a liquid water test kit), but 25% is a good place to start. Always temperature match and dechlorinate the new water before slowly adding it to your Betta fish aquarium. In addition to water changes, you’ll have to perform biweekly filter cleanings. If needed you can also scrub the aquarium glass using a piece of filter sponge, trim plants and vacuum the bottom using your water change hose. Live plants? Filters? Water changes? If this is all sounding like a bit much to you, don’t worry. You don’t have to be an aquarium expert to enjoy a beautiful Betta aquarium! 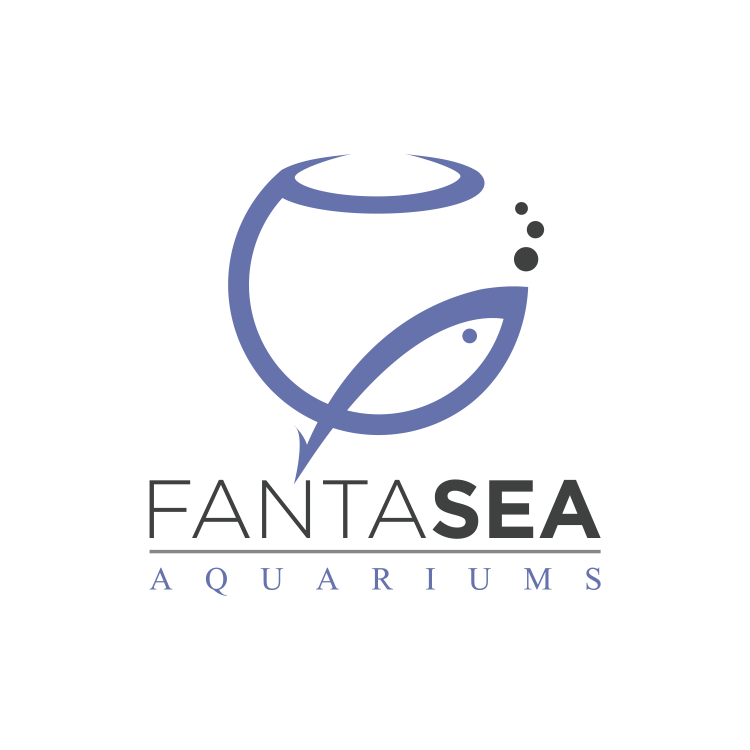 FantaSEA aquariums can set up and maintain any aquarium for you, including Betta tanks. If you want to avoid the hassle of having to take care of all this yourself, just head to our contact page here to request a quote and we’ll get back to you as soon as possible. Betta Fish: What Size Tank Should I Get?